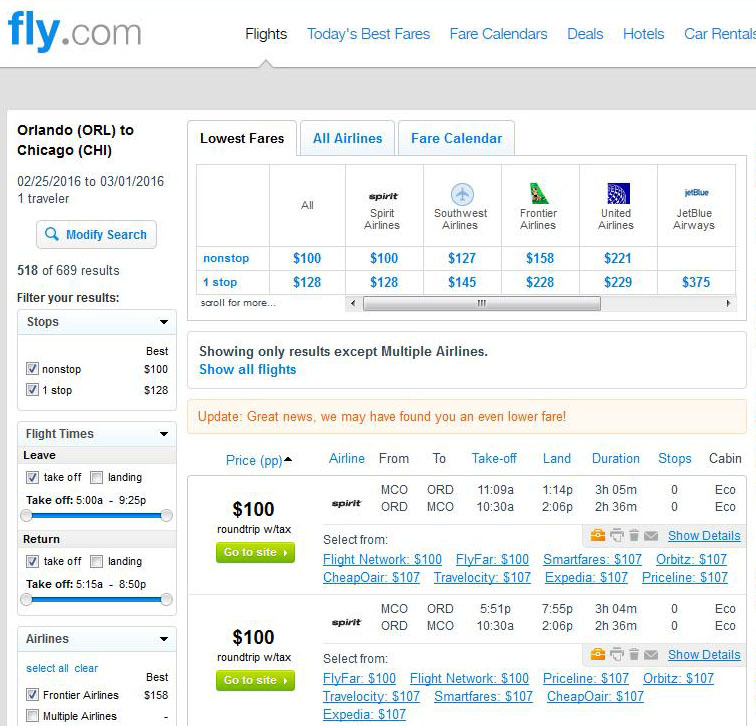 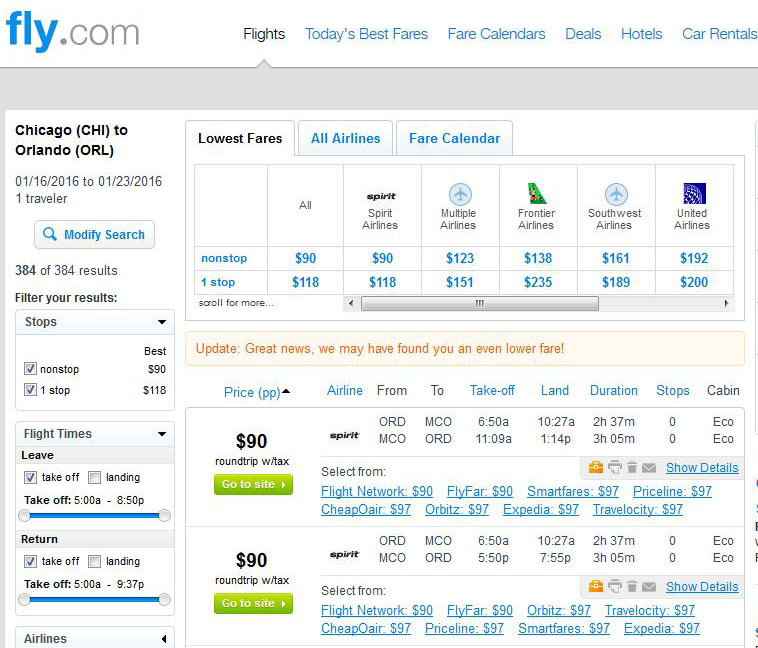 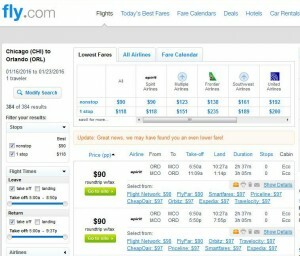 Nonstop flights between Chicago and Orlando have dropped to just $97-$107 roundtrip, including tax. 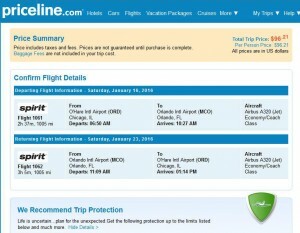 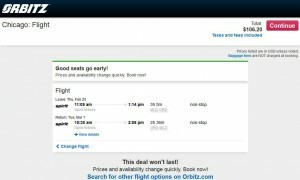 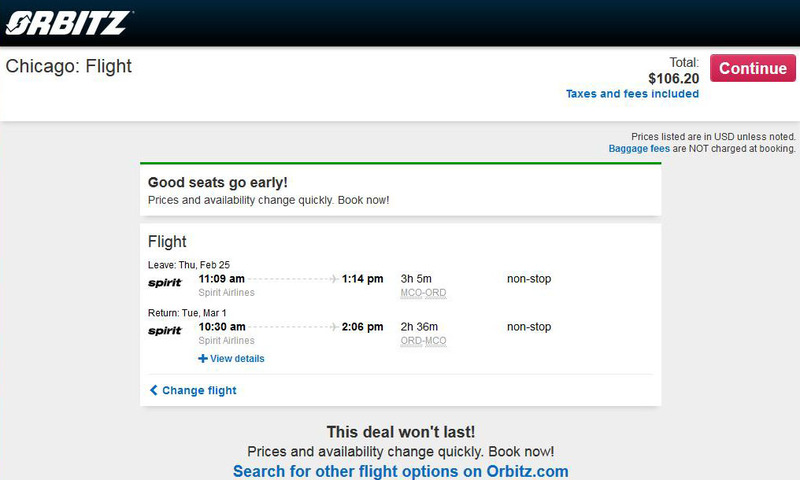 These fares, on Spirit Airlines, represent a savings of $125 on the usual cost of a roundtrip flight. 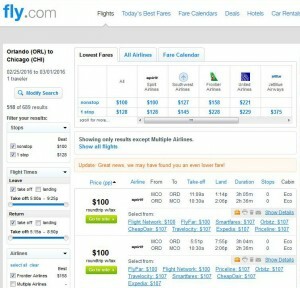 Note that Frontier Airlines are also offering these prices on certain dates. 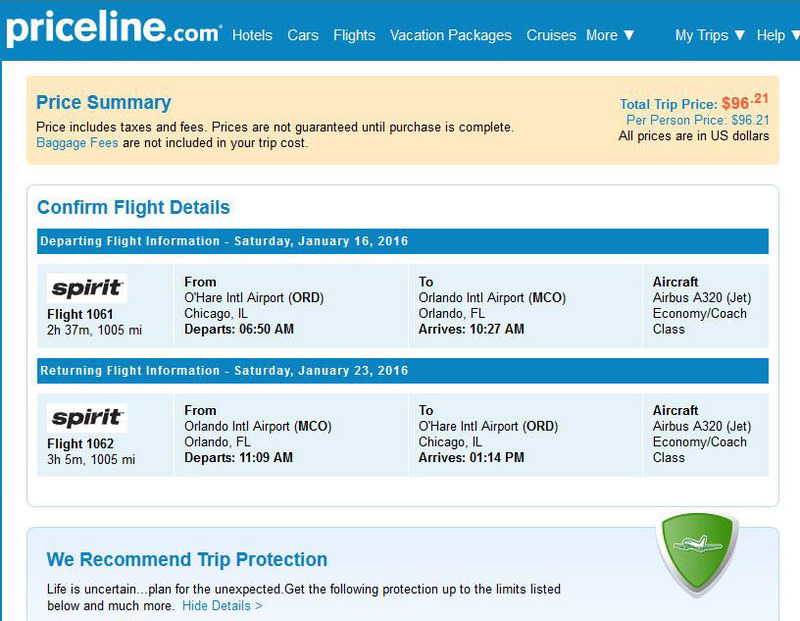 Travel select dates Jan. 6-March 1, including MLK Day.